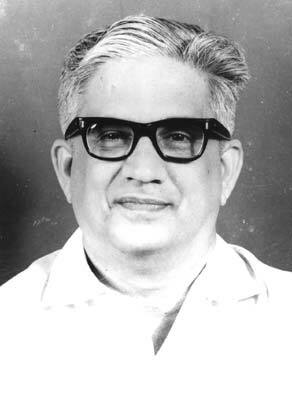 Chelat Achutha Menon was an outstanding and innovative leader of the Communist Party of India. His was one of the ablest creative role in India’s Communist movement. It is now known that as early as the beginning of the 1950s, in the midst of heated debate by the then leaders of the CPI over the Russian or Chinese path for the Indian revolution, Achutha Menon had raised the problem of working out an Indian path, taking into consideration the Indian specifics. This creative approach informed his positions on concrete questions of party policy and tactics as a party leader and the administrative and political decisions taken while he was Chief Minister of Kerala (1969-1977). For over four decades, Achutha Menon’s life, activities, views and the values he upheld played a significant role in moulding the socio-political history of Kerala. They made a deep impact on the national political scene as well. He was a socially committed Communist politician, really a statesman. He was the unquestioned leader of the united front of a number of political parties which came to power in 1969. As Chief Minister he showed a clear and realistic appreciation of the motion of the basic social and political forces in the state. On an assessment of the political situation in the state on this basis he drew up his political and administrative agenda. Within this policy framework he could be flexible and could take bold decisions. Hence it is that Achutha Menon’s was not a status quo government, but a dynamic instrument of change and advance. It accomplished basic measures like agrarian reforms and a number of progressive pieces of legislation. In fact he was one of the chief architects of modern Kerala. C.Achutha Menon Foundation (Study Centre and Library) was registered in January 1992 under the Travancore Cochin Literary, Scientific and Charitable Societies Registration Act 1955 as a memorial to the leader who passed away on 16th August 1991. The Foundation stone for Achutha Menon Study Centre & Library building was laid by Dr.Sankar Dayal Sharma, former President of India on 13th February 1996. and the building was formally inaugurated by Shri.Krishan Kant, former Vice President of India on 16th April 1999. The Library was inaugurated by Justice V.R.Krishna Iyer, former Judge, Supreme Court of India in December 1999. During the last decades, the centre has built up an excellent Reference Library with more than 14,000 collections mainly in Social Sciences. The Centre is subscribing to a large number of Research Journals in Social Sciences. The Study Centre and Library has been recognized as a Research Centre in Political Science by the University of Kerala vide their order No. AC.E1.A2-1180/04 dt.11.01.20106. A reading room is also functioning in the building where almost all the daily newspapers and periodicals in Malayalam and English are available. The Library and Reading room are being extensively used by Research Scholars and general public.